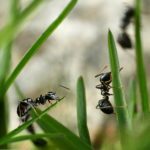 Home / Modern Pest Blog / Spring Pests: Friend or Foe? 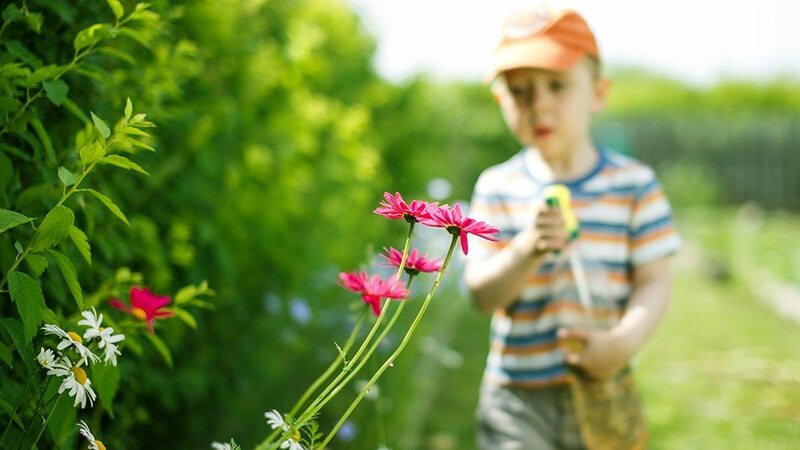 Spring Pests: Friend or Foe? If you’re like me, you’ve been dreaming of spring since the first flecks of snow danced across the New England sky. Spring is the light at the end of the winter tunnel, and the thought of warming temperatures, budding flowers, and baby animals provided me with the encouragement needed to keep on shoveling after yet another Nor’Easter. According to the calendar, winter is finally over. It’s time to kick off the Bean boots for Wellies, queue up your “Traffic Jams” playlist in honor of construction season, and fend off the horde of bugs that will suddenly awaken from their winter hibernation – like a scene from Indiana Jones. While many might joke that New England’s fifth season is “Construction” or “Mud,” working for a pest control company has taught me that the fifth season is actually “Bug Season.” The northeast is home to a seemingly endless array of pesky insects. As soon as the temperatures rise they come out in force. After a relatively bug-free winter, this sudden increase in insect activity can seem much worse by comparison. 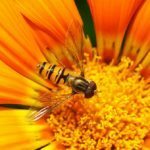 With so many types of bugs scurrying and flying around, how do you know which ones are relatively harmless and which ones could put a serious damper on your Spring spirits? While there are countless varieties of insects that will be out in force this season, we’re here to shine the light on a few of the most common invaders you could find lurking around your home or business. Little Black Ants prefer to nest outside, but can be found within wall voids and under carpeting. These ants are typically spotted on kitchen countertops using scent-marked trails to locate their food source. Pavement Ants are one of the most common indoor offenders. They build their nests underneath a building’s foundation but do not cause any direct damage to your home’s infrastructure. These ants are more frequently spotted foraging on the floor and near door frames. Carpenter Ants are the most destructive of the ant varieties and can cause significant damage if they choose to nest indoors. These ants are attracted to moist or rotting wood, which they use to establish their nests. They gnaw out tunnels within the wood which can weaken a building’s support. Signs of a carpenter ant infestation to look out for are the presence of coarse sawdust, known as frass, and large black or reddish ants. In the spring it is more common to see swarmers, which are winged carpenter ants in search of a mate. April showers bring May flowers, and what do May flowers bring? Bees! Most species of bee are beneficial and provide crucial pollination for flowers and crops. They are typically passive and will not sting you unless provoked. One of the more aggressive bees is the Carpenter Bee, a large variety similar in appearance to a bumblebee. Males have no stinger, so their aggression towards humans is purely for show. Female Carpenter bees bore holes into exposed wood, which they use to create tunnels in which to lay their eggs. are by far the more menacing of the stinging insect variety. The mere sight of one is enough to elicit fear. For some species, such as Mud Daubers and Cicada Killers, this reputation is undeserved as they do not defend their nests and rarely sting. Some species are very helpful, as they feed on other insects and therefore supply a natural form of pest control! Paper Wasps are not typically aggressive but will attack if they feel there is a threat to their nest. Their colonies are small, and they build nests in trees, shrubs, or sheltered areas of a home (such as eaves). Paper wasps are pollinators, and also help to control the insect population by feeding on flies and beetles. European Hornets typically build their nests in dark locations, such as hollow tree trunks or within the walls of homes. European hornets have a reputation for viciously defending their nests, so be extremely cautious if you encounter these near your home. 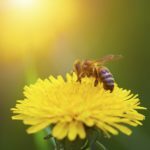 Although they can help reduce the local insect population, these hornets are destructive and have been known to destroy beneficial honeybee hives as well as cause damage to trees. Bald-Faced Hornets make their homes in gray football-shaped nests, typically in trees but sometimes found suspended off the sides of buildings. Bald-Faced Hornets are a useful pollinator and feed on other yellow jacket species, flies, and spiders. However, they will vigorously defend their nest, stinging repeatedly. These wasps also have the unique ability to squirt venom from their stinger into the eyes of intruders. Yellowjackets typically nest in the ground, but can also be found in attics and eaves. Yellowjackets feed on sugars and carbohydrates and can commonly be found at outdoor events where food is present, near garbage bins, and at picnics. They sting repeatedly and often unprovoked. Therefore you should use extreme caution. If you have a pest concern that’s bugging you, give the professionals at Modern Pest a buzz or request a FREE online quote. Our team at Modern has the knowledge and expertise required to rid your home or business of over 60 different types of pests – guaranteed!